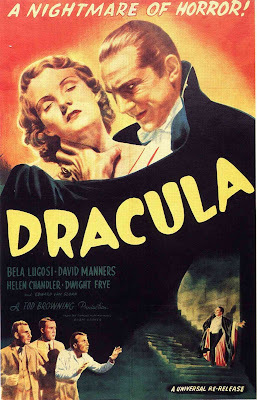 Dracula (1931) is the first official adaption of Bram Stoker's novel, though it is based on a stage play version. 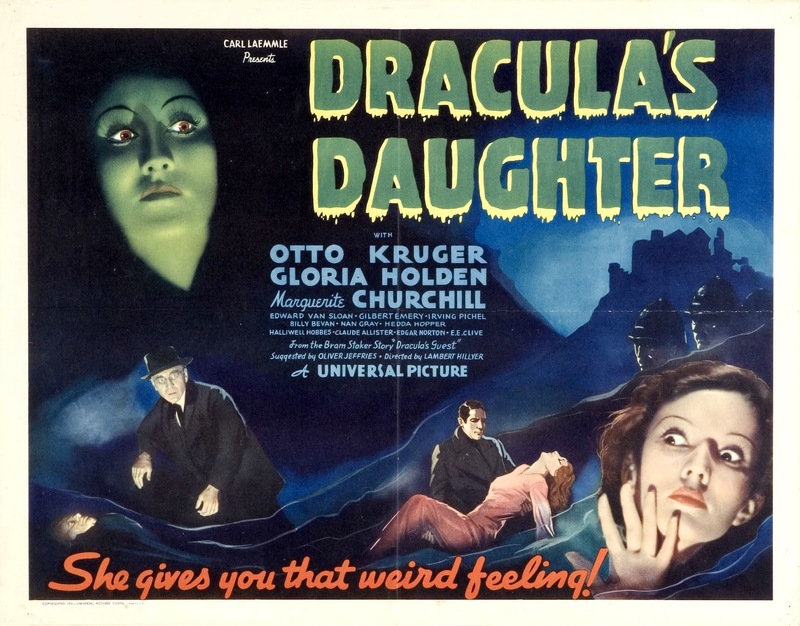 The mysterious Count Dracula comes to London and then mysterious deaths start occurring. Doctor Seward, Jonathan Harker and Van Helsing must stop Dracula before he can covert Mina into a vampire. Some strong performances and large beautiful sets don't make up for a fairly weak and exposition heavy story. Most of the movie is Van Helsing exposition scene followed by Dracula interruption, repeat. Most annoying is that they know where Dracula is and how many 'earth boxes' he has, but do nothing until he has captured Mina. Also, in Dracula's castle we have some animals from the Americas including an opossum and some armadillos. Apparently Dracula is a collector. Van Helsing is an expert in medicine and the occult. He is quite gentle and trickier in this version. He can still be commanding, but seems more reserved than his novel counterpart. He explains a lot about vampires and tries to give people proof, but doesn't do it in the most believable way. Lucy is a friend of Mina who is turned into a vampire early on. It is mentioned that she has become the Lady in white and then that plot line is dropped. Doctor Seward is an old Doctor who runs the sanitarium and is Mina's father. This is a curious amalgam as Seward in the novel is young and in love with Lucy. He gets a reduced role as an assistant to Van Helsing. Jonathan Harker is Mina's annoying love interest. He fights Van Helsing on every decision and just comes off as a stuck up jerk. Mina is a damsel in distress. She doesn't do anything aside from get victimized by Dracula. This is a sorry step down from the useful ray of sunshine from the novel. 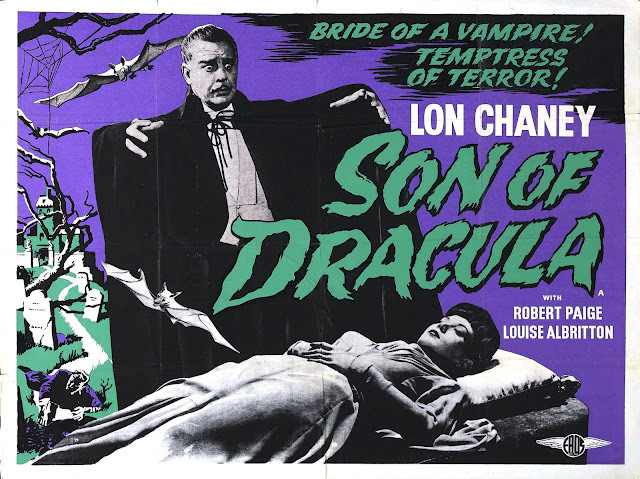 Renfield is a solicitor who falls under Dracula's spell and helps him get to London. We get a much more manic psychotic performance compared to Knock. He also has a vastly expanded performance compared to most other versions of the character. Renfield is played by the same actor as Fritz and Karl from the first two Universal Frankenstein movies respectively. Let's just say I love his performance. He really brings some life to this messy film. Dracula has his iconic performance by Bela Lugosi. He does well as the gentleman monster. Unfortunately most of his powers are described rather than shown. The power is all in Lugosi's performance which is impressive, but I would have liked to see more than glowing eyes and a plastic bat. This film has a curious lack of music. I think it leaves the film dragging during otherwise long mood building scenes. The sets are large and gorgeous classic Universal monster pieces. The end is abrupt and more anticlimactic than I remembered. Not a lot happens and it leaves you wondering why they didn't organize a search and do that earlier. Holds up about as well as Nosferatu, that is to say not that well. It is great to see Renfield, Dracula and Van Helsing, but the plot is stripped so thin that it just seems like a series of events required by the plot. There is none of the camaraderie or tragic loss like the novel. It is once again worth it to see as one of the roots of modern vampire stories and as a classic. Dracula's Daughter (1934) continues the story of Dracula, but centers on his daughter. It begins with police finding Dracula's body and Van Helsing being arrested. Countess Marya Zaleska takes Dracula's body from the police and burns it in an attempt to free her from her vampirism. When that doesn't work she seeks help from Dr. Jeffery Garth who claims to be able to cure compulsions through hypnosis. Much like the last film, the characters just seem to kind of do things. The main focus is on Zaleska's attempt to cure herself, but she seems really half hearted after her initial plan falls through. In fact, she seems more interested in getting a man (Dr. Garth) than anything. There are hints of lesbianism in this, but it isn't overt. If anything, Zaleska is bisexual leaning male. Van Helsing the doctor and demon hunter gets arrested... Then he tells everyone all about the undead. Has he gotten more stupid since the last film? He is used primarily to spout exposition and has a really non-dramatic C plot of being potentially hung for Dracula's murder. That would have been cool if the movie ever felt like making the sentence serious. We never see him in a cell, though he is handcuffed once. The police even bring him to Transylvania at the end. Dr. Jeffery Garth is a psychiatrist who is called in to assist with Van Helsing's defense. He is interested in the countess and has an awkward relationship with her. He doesn't do much, but at least he does more than faux-Harker from the previous film. Janet is Dr. Garth's damsel in distress love interest. They have some playful banter and some tie scenes that are strangely dated. I'm not sure if I was supposed to find her romantic, funny, or annoying. It came off as mostly annoying to me. Especially as she is reduced to little more than a plot device by the end. Sandor is Zaleskas's manservant. He's there to fetch her meals and remind her that it is pointless to escape her curse. I didn't really get his motivation even after they say it, it doesn't really make much sense why he'd have followed her to London in the first place. Countess Marya Zaleska is pretty and well acted, but she comes off as very fickle. After her first plan goes awry, she gives some lip service to having Dr. Garth help her, but doesn't really follow up with it.In the end she just need a man and a pretty man, not that ugly Sandor. Yay Feminism! Okay, that may have been unfair, but really it doesn't fly today... Yeah, that film/novel series doesn't count. Once again we have some nice sets with a very 30s transition to Transylvania thrown in. Once again it has some weird stretches without music, but they are less noticeable than before. This does somewhat mirror some of the end of the novel with a chase back to Castle Dracula, but we don't get any brides and we get some very out of character action. Zaleska seems to have far fewer powers than her father. She either turns invisible or to fog or into some kind of molerat at the beginning and she's theoretically able to lift Dracula's coffin at the start, but she relies on a very large ring for hypnotism and we don't see her powers on screen really. I think this piece was definitely suffering from a lack of Renfield. He was the most interesting part of the first movie and does not have suitable replacement here. Son of Dracula (1943) has stronger special effects and story, but no stand out characters. A train arrives, but a passenger is missing, fortunately Lord Alucard's luggage arrived, including a large box. Meanwhile, Kay wonders where her guest the Count might be at. She consults a fortune teller who does of a heart attack after seeing a giant bat. At a party we meet her father, sister and fiance. After the party her father is discovered dead and the mysterious Count Alucard finally arrives. The action shifts to a New Orleans plantation, which is actually a really cool change of scenery. Louisiana is one of the few parts of the US with an older haunted feeling. We get a bit of fourth wall action with Dr. Brewster reading from the novel Dracula, though the novel could have actually been published in its own fictional world. They also mention that Dracula was killed in the 19th rather than the 20th century making this more a sequel to the novel than the other two films. Oh, and there's a gypsy, to add to the body count and be creepy I guess. Dr. Harry Brewster is a friend of Kay's family. He calls in Professor Lazlo and takes a similar role as Doctor Seward in the novel. He does the most heroic work in this film. He tries to defend those we know is innocent and odes his own investigation. Professor Lazlo is our resident demon expert and Van Helsing replacement. He once again gives out some exposition and helps to convince others. Frank is Kay's old boyfriend who she seems to want to blow off for Dracula. He goes from potential hero to crazy in one throw, literally. One minute he's sane then he gets thrown by Dracula and pulls a gun and shoots him. He is our insane man and has an incredibly dark story. I strated off not liking him, but by the end I couldn't help but feel for the guy. Kay is much more interesting than any of the females we've seen so far. She has her own plans and the means to complete them. She has a very dark arc through the film, but she is possibly the most interesting character of any of the Universal Dracula films. I wish the film had started in Transylvania showing when she met Alucard and the gypsy. Then we wouldn't have to spend the start of the film figuring out what is going on with Kay, though I suppose that is meant to be part of the mystery. Count Alucard looks awesome with some nice creepy looks and shadow work; however whenever he opens his mouth all I hear is good ol' Lon Chaney who also played the Wolf Man. He just doesn't have a voice I associate with a threatening monster, though he almost gets there in some of his scenes. I almost would have preferred a silent performance. The best scenes are the few in the swamps. Everything interesting happens in them and we get some great shots involving Alucard. This does not end well and I think it is all the better for it. During the last two films we've gotten happy endings for two couples who are stupid and unsympathetic.This is a suitably dark and twisted end for the kinds of underdeveloped characters. If I'd have actually cared about them, this ending would have been awesome. The special effects in this movie are really cool and I'd reccomend seeing it based on them alone. The stroy is definitely stronger than the previous instalments, but the character developement is a bit strange. The 31 Days of Macabre Movies are still going on at The Good, The Bad and The Magnificent!